The Explorer 150/750 Newtonian reflector is a step up from the 130 mm version and is classed as an F5 scope. With 150 mm aperture. It has 33% more light gathering than the 130 mm and being a faster telescope is more suitable deep sky objects. These also comes supplied with a much sturdier EQ3-2 tripod mount, which helps when pushing it to higher magnifications. Like the 130. 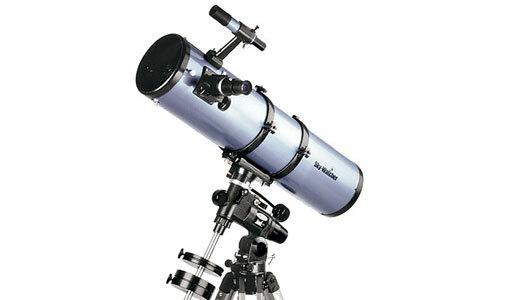 It is possible to do some basic astrophotography with these telescopes. For someone beginning in astronomy, any of the skywatchers we have would be suitable for starting out with.